Almighty Father, I sincerely thank you on behalf of my family for the far we have come. 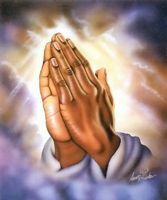 I thank all the prayer warriors who have been praying for me and my family. Thanks for the gift of life. Almighty Lord, heal my nephew who is in ICU in your Mighty Name. Thanks for the blessings of baptism for our kids; Claire and Luke. Let my wife and kids grow healthy, strong, intelligent and wise. Almighty, improve my son, Luke’s development. Let him start walking in your Mighty name! Improve my daughter, Claire’s general growth and appetite. Bless us with finances so that we can pay school fees for our daughter. Heal my dad from the allergies. Heal my mum from high blood pressure and arthritis. Heal the sick and keep us healthy. Almighty Lord, lower my uric acid levels and keep them normal. Heal me from the Leg pains and allergies. Almighty Father, comfort and console all those that have lost their loved ones. Bless me to be a good dad, husband, brother, son and friend. Almighty Father, keep me and my family safe. Almighty Father, bless my family with a financial breakthrough so that we can pay all our debts, bills and create wealth. I humbly ask for forgiveness from all those that I have wronged. Please help me to forgive all those that have wronged me. Almighty Father, break all curses in your Mighty Name. Almighty Father, bless me with a job, an opportunity or an idea. Bless my companies Lord so that I can get a lot of business in your Mighty Name. Bless the business that my company is doing of marketing apartments so that we can get clients in your Mighty name. Almighty Father, I humbly pray for capital for my business. Bless us so that we can reunite with my family soon. Keep my family healthy, happy, loving and strong. Almighty Father, thanks for intervening, a part of my pending salary from my previous employment has been paid; the management promised to pay the last instalment on the 05/09/2017. Bless my parents and brothers with good health, long life and great fortunes. Let them serve you and know that you are God. Almighty Father, bless me with a strong fighting spirit and never lose hope. Bless me with confidence, hope, courage and success. Almighty Lord, bless my wife, daughter and son. Bring joy and happiness in our lives. Lead us into a debt free life and financial wisdom. Almighty Lord, bless all the income I get so that I can use it wisely, carefully, never be extravagant and to glorify your name. Bless me with wisdom and knowledge, to have self-control, start reading the BIBLE, going to church and abide by your teachings. Amen. Comments for Thanksgiving and Financial Breakthrough.